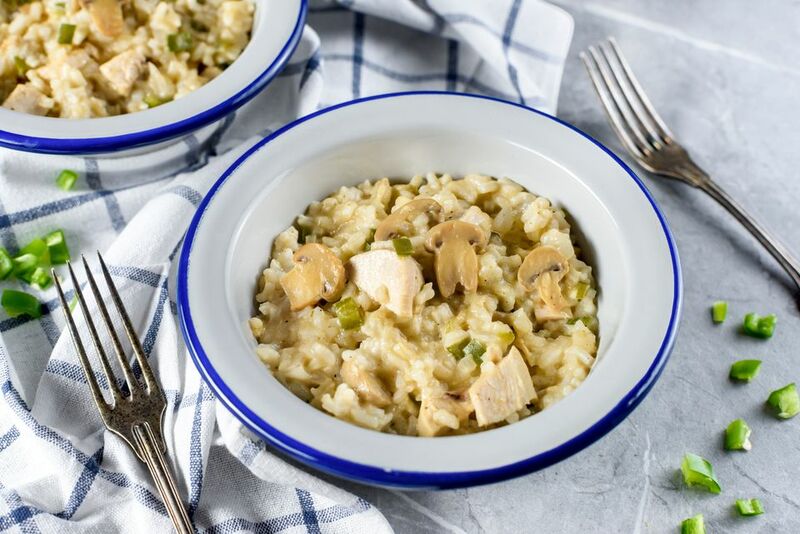 This simple turkey and rice casserole is an excellent way to use leftover turkey. If you happen to have remaining gravy, add some to the sauce mixture to give it even more flavor. The condensed soup makes the recipe an easy and convenient one-dish meal. Use cream of celery or cream of mushroom soup. You could also top this easy casserole with some shredded cheddar cheese just before it's done baking. Spoon the mixture into a greased 1 1/2-quart casserole dish. Cover and bake 30 to 40 minutes, until bubbly. For additional color and flavor, add 1 small jar of drained and diced pimiento or a few tablespoons of finely chopped red bell pepper. For a buttered breadcrumb topping, combine 1 cup of soft fine breadcrumbs with 2 tablespoons of melted butter. Sprinkle over the casserole before baking. Make the casserole with diced cooked chicken instead of turkey. Add a few tablespoons of bacon. Top the casserole with toasted slivered almonds just before it's done to add some crunch.